I love a nice scent in the air. Seasonal scents are particularly always nice. I don't burn candles as there is something in the wax that gets my allergies going, but I do use air sprays, and my favorite air scents are ones like Air Wick's scented oils. They are adjustable too with their scent ,where you can control the amount of scent that comes out, which it great. This year's limited edition Air Wick Seasonal Scents include: Woodland Pine, Sugar Cookies, Warm Apple Crumble and Warm Mahogany. I got to review their Woodland Pine and Sugar Cookies. Although not a fan of pine scent, both my husband and I were pleasantly surprised that it wasn't over powering. Actually, very subtle. The sugar cookies was also very nice- that one my favorite of the two. Also nice is the fact that there is a scratch and sniff sticker on each package, which allows you to smell the scent before you buy! Air Wick Seasonal Scents help everyone everywhere spread the joy this holiday season. 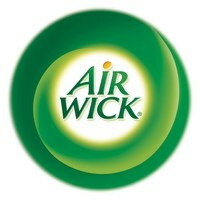 To spread the joy to children in need, Air Wick will also be donating to The Global Fund for Children, which is a wonderful cause.